and fir. Most of the tribes inhabiting this area are Gurungs, Magars, Chehettris and Newars. Thakali and Mustang tribes control the busy trading and pilgrimage trail along the Kali Gandaki. 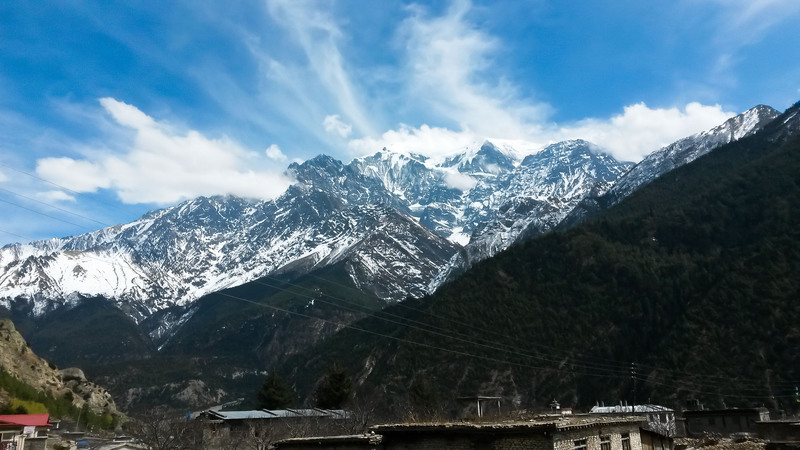 One of the most striking significance of this trek is that we have a spectacular view of most mountains range every day.On the other hand, Annapurna Base Camp is a natural amphitheater ringed by Annapurna South and Annapurna I, Varahashikhar, Gangapurna and the holy mountain Macchapucchre (Fish Tail). The first few days are spent traveling through quaint villages and lush forests before reaching more barren and rugged terrain. The trail to Annapurna Base Camp threads up the valley into the sanctuary where it gradually gives way to a gray screed and scrub before reaching snow fields, there are no villages to speak of for five days. Annapurna Base Camp trek is a wonderful trek with some tremendous views, from base camp a labyrinth of mountains tower almost vertically above with Annapurna I in dominance. An hour or two is spent here taking in the high mountains before commencing the return journey. Five further days are taken returning to Pokhara. 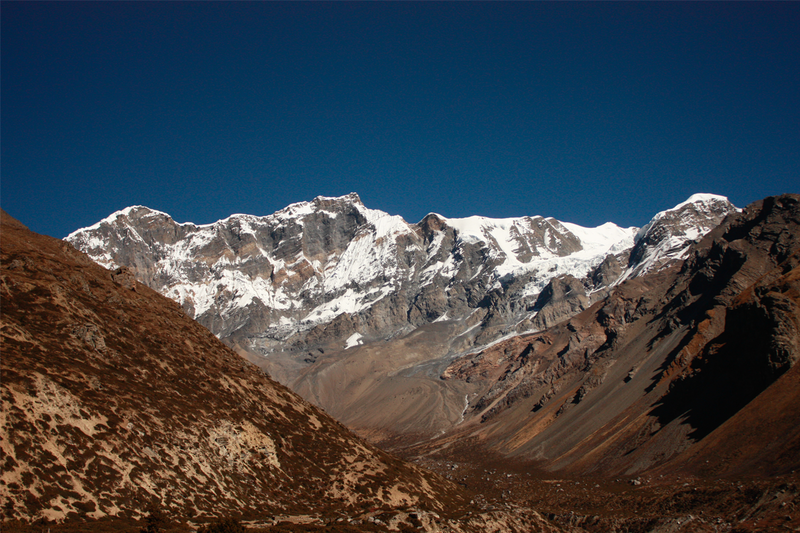 Annapurna Base Camp trek is a good introduction to higher altitude without being too strenuous. Day 01: Arrive in Kathmandu International Airport. More Than Mountain staffs meet and transfer to Hotel on bb basis. Day 02: Full day sightseeing in Kathmandu Valley. Annapurna Himal. It will take 06-08 hours drive and O/N in Hotel located in Lake side in Pokhara which is main touristic and very famus area in Pokhara. In evening you will walk to Lake side and also Barahi temple in Phewa lake Island. It will be better to visit before sunset to Barahi temple for to see Sunset view of Annapurna ranges and Machhapuchare himal. Day 04: Pokhara – Jomsom – Kagbeni. Early morning fly to Jomsom by domestic airlines which take about 30 minute to Pokhara/Jomsom. When you fly to Pokhara/Jomsom you will see long ranges of more than 25-30 high himalaya including Annapurna 1st. and Dhoulagiri which is above 8000mtr. also very close view of Annapurna range, Nilgiri and Dhoulagiri. You will fly between Annapurna range and Dhoulagiri range to follow Kali Gandaki valley. After landing to Jomsom airport there will be all your porters waiting you to start trek to kagbeni. You have time to see around and take picture of the Jomsom area. The people from this area is called Thakalies and they are Buddhist. From Jomsom to Kagbeni is about 3-4 hours walk to follow Kali Gandaki river and in this river you will find focil rocks. In Kagbeni there is very old Gompa for to visit. Day 05: Kagbeni – Jharkot – Muktinath. Early morning after breakfast gradually climbg to Jharkot and Muktinath. The Jharkot is one of the very old village in this area and lots to see all very very old houses and Gompa and monasteries. You will have lunch in Jharkot which is about 03-04 hours walk and Muktinath is halfway from Jharkot. In Muktinath, you will see Lord Shiva’s temple and also Buddhist Gompa lighting a lamp. From Muktinath can see best view of Dhoulagiri, Tukuche, Manapathi, Tilicho and many other high Himal and also the valley of Mustang. This area is Buddhist area and you will see lots of Buddhist and people from Mustang selling things. Muktinath is route of crossing Thorong La pass around Annapurna trek. Day 06: Muktinath – Jomsom. Early morning after breakfast walk down to Jomsom with looking best view of Dhoulagir, Tukuche, Manapathi, Nilgiri and many other high himal and walking distance is 05-06 hours. O/N in lodge. Day 07: Jomsom – Tukuche. Early morning walk to follow Kali Gandaki with looking view of Dhoulagiri range, Nilgiri, Tilicho himal in both side. Marpha for lunch and O/N in Tukuche instead of Marpha. Marpha is very very famus for Apple wine and there is big agriculture farm and this area is very famus for apple. Please do not forget to visit agriculture farm. It will take about 05-06 hours to Tukuche from Jomsom. This village is very old village and lots of things for to see. Day 08: Tukuche – Kalopani – Lete – Ghasa. Early morning after breakfast walk to Ghasa with looking some different view of Himal Annapurna 1st. and Annapurna south from Kalopani – Lete after 02-03 hours walk from Tukuche and when you look back ground you will see both side is high himal Dhoulagiri range and very famus Dhoulagiri Icefall and another side is Nilgiri south, Nilgiri Center and Nilgiri North.Infront of you is Annapurna 1st. and Annapurna south face. It will be better to have lunch in Late for to stop and look view of himalaya. After Lete the trail follow to forest but no view of himal and Ghasa is in gordge. Day 09: Ghasa – Rupse waterfall – Tatopani. Next day after breakfast walk through deepest gordge in the world because you are walk between Annapurna 1st. and Dhoulagiri 1st. both is above 8000mtr. high from sea level. After crossing gordge you will see very famous waterfall Rupse Chara (waterfall) and to have lunch here is good idea to see waterfall and to take picture. After lunch it is wide area and agriculture farms. Ghasa to Tatopani is about 05-06 hours walk and you have time to go to visit natural hot spring and take hot bath. Day 10: Tatopani – Ghalaysore – Beni. From Tatopani the trail follow Kali Gandaki crossing few suspension bridges they are strong enough to walk. It is gorge so you don’t see view of Himalayas but you can see agricultural field, different houses, people and view of Kali Gandaki valley. If you are strong enough to walk to Beni you can reach in Beni in 06-08 hours its long day but easy walk. Day 11: Beni – Kusma – Nayapul – Navdanda – Pokhara. Drive from Beni to Pokhara is rough road to Beni- Kusma and after that is good road and it will take about 04-05 hours to drive to Beni-Pokhara. You will see again best view of long ranges from Navdanda( Nine hils) and also view of Pokhara valley and Phewa lake. Day 12: Pokhara – Kathmandu. Early morning after breakfast tour start from Bajra barahi temple, Mahendra Cave, Davis waterfall, Tibetan camp and lunch in lake side and after lunch drive to Pokhara airport for to fly to Pokhara/kathmandu which take about 45 minute and transfer to Hotel on BB basis. Day 13: Free day in Kathmandu.